We don't offer childcare, however we do have a designated play area. Equipped with chairs and toys and a TV. 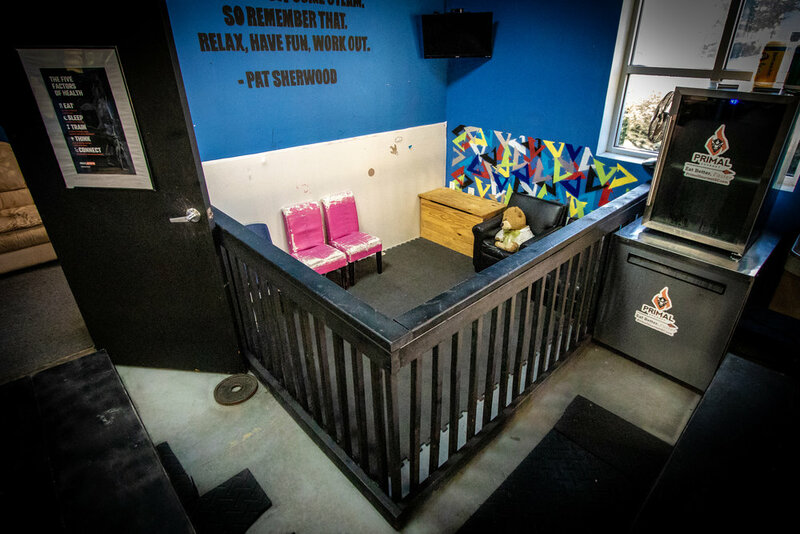 Our kids corner is visible from just about everywhere our gym so feel free to bring your little one with you!